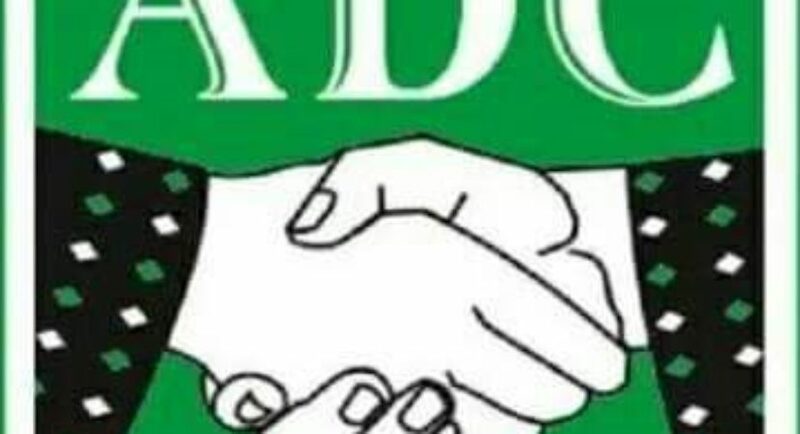 The Chairman of African Democratic Congress (ADC) Enugu State and coordinator of Coalition for Nigeria Movement (CNM) Enugu State chapter, Mrs Stella Chukwuma has congratulated the CNM and ADC for the successful adoption of the ADC yesterday in Abuja. Chukwuma, while speaking with Jungle Journalist News Corporation said that the goals and dreams of the coalition of political parties that make up the CNM is in line with the dreams of the ADC, hence, though delighted, she was not surprised at the emergence of the party as the flagship for the movement. She hailed the convener of the coalition, the former president of Nigeria (Olusegun Obasanjo), national chairman of the ADC, Chief Okey Nwosu and the convener of the CNM, Mr Olagunsoye Oyinlola. Speaking to our Correspondent in Enugu, Chukwuma who is a former banker hailed them for their efforts towards positive change in the governance in the country and resort to true democracy. “I want to commend Former President Olusegun Obasanjo, Chief Okey Nwosu and Dr.. Oyinlola and all Nigerians who rallied around to come up with the CNM in this time of emergency in our nation’s leadership. The eventual adoption of the ADC is true commitment by all those involved to true democracy in our country. Nigeria is in dire need of competent leaders who truly believe in the rule of law, true democracy and positive change in governance and fortunes of our people. The ADC is one outstanding party in the area of credibility. We are also certain that with its acceptance by the Coalition, Nigeria is finally headed to good governance”. “I also want to sound a note to those leaders and politicians who have always held power that it won’t be business as usual anymore. Get ready to hand over power to the new leadership of the country. Your time is up because the coming revolution is about the people-our youths, women and men of goodwill to secure prosperity and happiness for our children and generations yet to come”.